It’s a tough hiring market out there—and an even tougher retention climate. With more jobs than unemployed workers to fill them, small businesses need to use every tool in their toolbox to attract, hire, and retain quality talent. One of those tools is your benefits program. 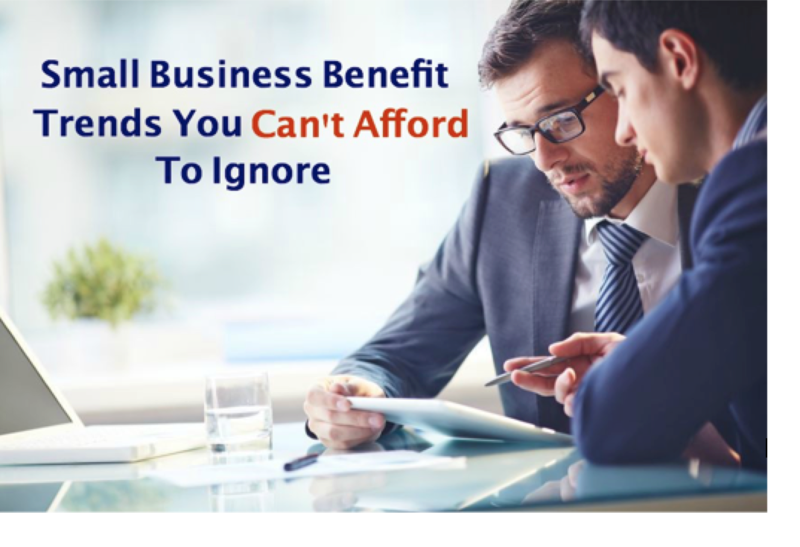 An excellent benefits package is often just as important to a candidate as the annual salary. But benefits can be expensive, and it’s not always clear which ones are most compelling for candidates. So how do you choose a plan that meets your employees’ needs without paying through the nose? Start by understanding what’s trending in benefits administration, and then use that knowledge to attract talent. Here’s how to get the ball rolling. According to the 2018 Benefit Broker Survey from Identity Force, employers care most about cost (80%) and value to employees (77%). That’s not surprising. Cost has to take top priority for most companies, and value to employees plays an essential role in company culture. The third highest-ranked consideration for employees was ease of enrollment, which is another indication that employers are looking for ways to build positive connections with employees. This careful attention to employee experiences in connection with benefits is supported by data. Glassdoor found that improving your health insurance, 401k plan, and PTO policies can have a measurable impact on employee satisfaction at your organization. But what about trendy benefits like family leave and flexible work policies? Do they really affect your retention rates or your ability to hire the best candidates? The Glassdoor study also found that employee discounts and maternity/paternity leave did not have a statistical impact on employee satisfaction. But that’s not the whole story. That brings us to another question: how do you choose which benefits you should offer? Is price the only consideration, or are there other factors that matter just as much? Clearly, costs matter. But so do employee perceptions. So how do you balance those two sides of the equation as you choose which benefits to offer? Are wellness programs and identity theft protection worth paying extra for? Let’s look at five questions you should ask as you consider benefit options. Do the benefits you’re offering meet the needs of your current workforce?Many factors affect your employees’ benefit preferences. These may include the average age of your workers, the number of claims they have filed, your industry, and your geographic location. Before adding or dropping a benefit, determine whether it is something that your employees rely on or find valuable. Will a new benefit increase your desirability in the eyes of potential candidates? Compensation is only part of the job search equation for candidates in today’s recruiting climate. Good jobs are readily available, so people can afford to be pickier about the employers they work for. Your benefits offerings can strengthen your employer brand image by demonstrating that you are willing to invest in the wellbeing of your employees. Does your current benefits program contribute to the productivity and wellbeing of your employees? Two-thirds of employers believe that employees are less productive at work when they have financial stressors in their lives. Having a strong benefits program gives your employees peace of mind, relieves stress, boosts productivity, and improves focus on the job. And when your employees are more productive, your company's bottom line benefits as well. Is it easy for employees to manage their benefits? A user-friendly self-service portal gives employees confidence to make decisions about their benefits. For companies that don’t have this feature in their HR software, working with a PEO gives them improved options including better technology capabilities and mobile access. If your business isn’t able to offer the kind of benefits package you want for your employees, a PEO can help. PEO group plans offer a variety of options, and you may also be able to take advantage of brokerage services through a PEO to find the most affordable plan. Ready to learn more about qualifying for insurance through a PEO? Download our FREE PEO Buyer’s Guide!